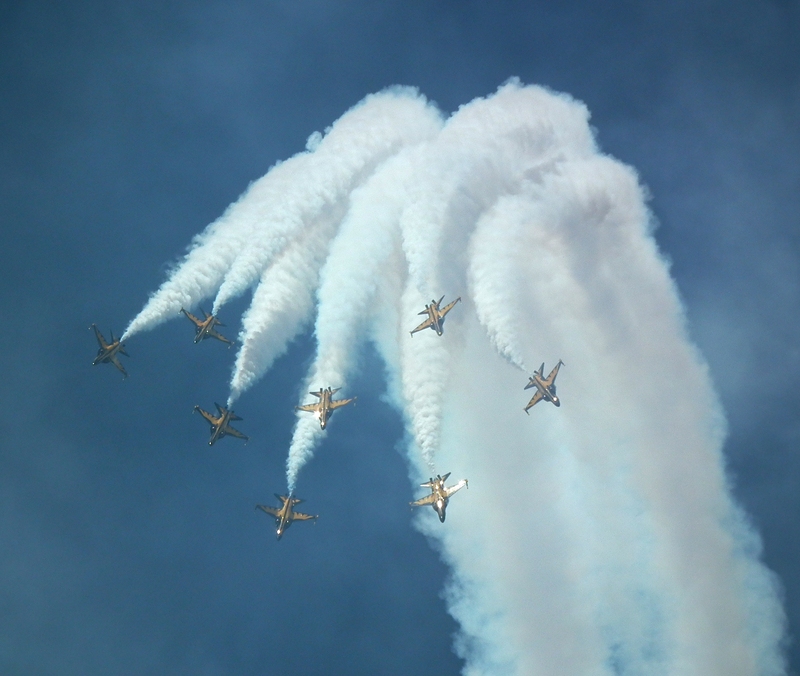 The Singapore Airshow markets itself as Asia’s finest aviation event. The truth, from the perspective of our reviewer, is to the contrary. There are, however, a few tips which can help make the event a little more bearable to the general public, and help warn against a few nasty surprises. These are our recommendations to get the most out of the show. Ticketing for the Singapore Airshow public days is refreshingly simple. Tickets must be purchased through Sistic (who, unfortunately, require the setting up of an account) either online or through one of their many offices in shopping malls around the city. Tickets cost S$22 per adult (just under £13, $19 or €14) and S$9 per child (parking not included), or S$166 for a family ticket (two adults, two children and a car pass). Car passes cannot be purchased individually by the public and are only sold as part of the family ticket. 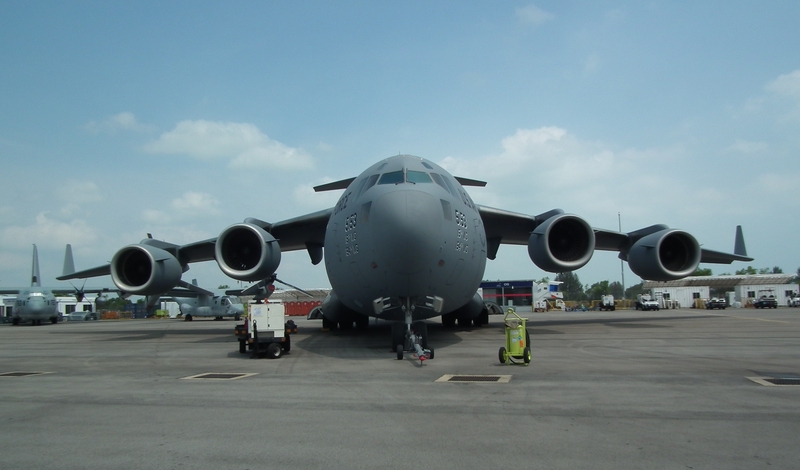 The Singapore Airshow is not an event created with the public in mind, but is in the most part a trade exhibition. 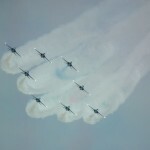 As such, the flying displays are short and often cannot fit every performer in a single day. 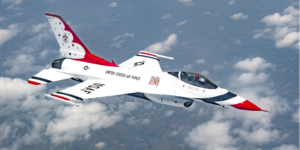 At the 2018 show, the first public day saw a full hour of flying by a large variety of aircraft, while Sunday visitors, who, needless to say, paid the same ticket fee, found out the week before the show that they would only be seeing four performances. Hold back on purchasing your tickets to the show: there are no earlybird offers and tickets rarely sell out. Wait for the daily flying display to be released before purchasing tickets to avoid disappointment. 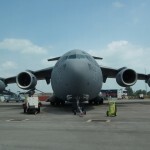 Given that car passes are not widely available, car ownership in Singapore is low and car rental is uncommon, the Singapore Airshow is not geared up to large numbers of individual car arrivals. Instead, a free shuttlebus from Expo MRT station, a 20-25 minute ride away, is provided. The service runs constantly throughout the day, but is nonetheless unable to keep up with the massive demand. Security processing at Expo is similarly slow, and so taking the shuttlebus cannot be recommended – boarding a bus can easily take two hours or more, depending on the time of day. Instead, it is recommended to use Singapore’s cheap, simple and efficient MRT (railway) system to get as close to the show as possible, with Expo, Paya Lebar and Pasir Ris stations being the most convenient. From any of these stations, it should be possible to take a taxi for less than S$10 to the exhibition site. This will bypass both the bus and security queues, and access to the show will be swift and painless. Leaving the show, however, presents a greater challenge. Ride hailing apps are blocked and taxis, which are few and far between, levy a $10 surcharge on passengers leaving the airshow. Our reccomendation is to watch the last aerial display near to the exit and break for the buses the moment it ends – these tactics should help you leave the site within half an hour. From Expo MRT, those taking the East West Line back towards the city centre may wish to “bounce” upon changing trains at Paya Lebar by instead boarding a train bound for Pasir Ris and changing directions after one stop. This should garuntee a seat for the busy half-hour journey back into town. 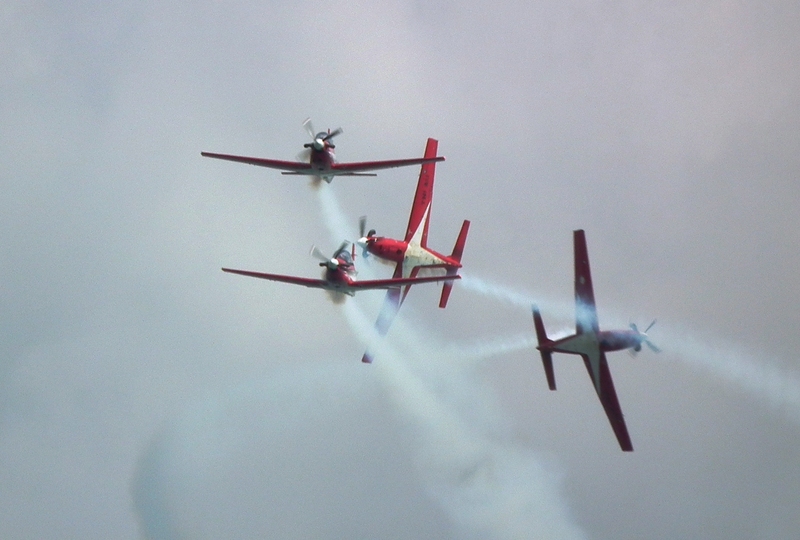 The airshow is not within walking distance of any public transport or urban areas. Singapore is a compact but extremely populated and cosmopolitan city with hotels to suit all tastes and budgets. 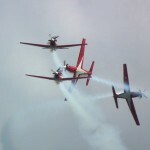 In most cases, prices and availability are not affected by the airshow. 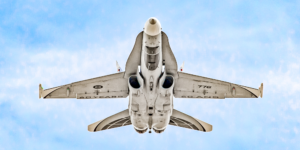 There are too many choices to list, but a hotel close to a train station (particularly on the eastern arm of the East West Line or Downtown Line) will be particularly convenient for airshow attendees. The Singapore Airshow is held at the Changi Exhibition Centre, with the showground divided into three sections. Firstly, the exhibition hall houses trade stands – although all but the largest tend to shut up shop before the public days. In front of the exhibition hall is the flying display viewing area, with a grandstand at the western end. Use of the grandstand (or else, standing towards the back of the viewing area) is advised during the flying display, as full height fences and a large loudspeaker assembly obstruct the view of those further forward. At the east of the show site is the static display area – although most of the interesting trade aircraft leave this zone before the public days. 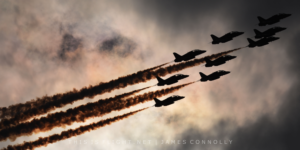 Be aware, when moving around the showground, that significent bottlenecks occur at the front entrance of the exhibition hall and where the static display and flying display viewing areas meet, particularly just before or after the aerial displays. 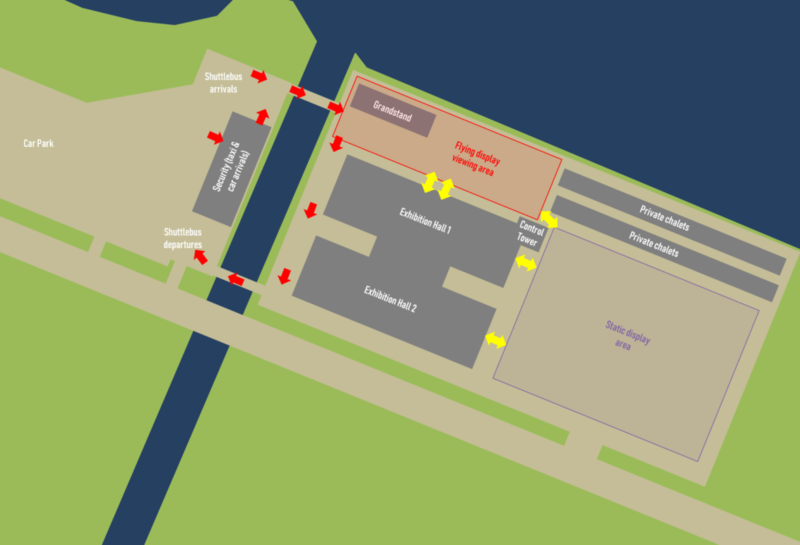 Avoid moving round the show site at these times. On occasion, a small section of the VIP balconey running along the front of the exhibition hall, has been open and unguarded during the public days; look out for a flight of steps up the outside of the building, underneath the balconey, just to the right of the main entrance door – and claim your spot early, as this stretch of balconey is just a few feet long. Given the hassle of visiting the Changi Exhibition Centre, some have attempted to view the airshow from outside the site. This, however, has often proved difficult; the showground is built on reclaimed land housing military facilities, with only one road into the area. This road is guarded by Police, who check all vehicles carry car park passes or are officially registered buses or taxis. The closest it is possible to get on foot is Changi Beach, just north of the Changi Ferry Terminal. Those travelling by car can park at the nearby Changi Beach Car Park 6 for a small fee; those without a car should be warned that it is hard to hail a taxi when leaving this secluded stretch of beach, and the nearest major bus stop is in Changi Village, 1.5km away. 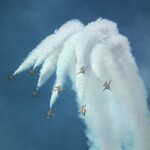 The flying displays, when viewed from here, are distant, and badly backlit until the mid-afternoon. 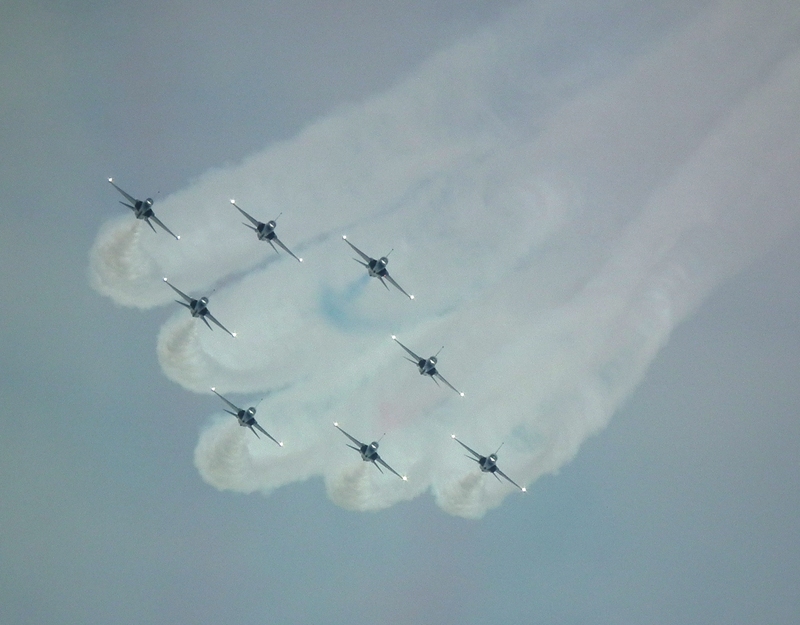 After attending four editions of the Singapore Airshow, our reviewer labelled it as “the most frustrating airshow on earth”, saying its own bizzaire format and venue severely hamper enjoyment of the event. This, combined with obstructed views, backlit morning displays and the dreaded “Asian haze” make photography challenging, at best – and with as little as half an hour of flying on some of the most recent public days, the journey barely seems worth the effort anyway.